Don't wait for tomorrow. Go to Bugz today! ANNOUNCEMENT! Playing is practical problem-solving. And everything we've built has a purpose – to help bright buttons grow the right way, through play! It’s the Bugz’ way! Gross motor on this, fine motor on that – you don’t have to look very far because our PlayPark raises the growing child bar! We’ve spent ages, forever, a LONG, LONG TIME, carefully designing learning-inspired play areas for your Bug! Take a look! All aboard the learning train! A chance for Bugs to grab the wheel - turn it left, turn it right, turn it round and round. Minds on the move, where will they go today as they the station for imagination play!? A little more on the left, a little effort on the right, the rowing boats make Bugz’ brains work with all their might! Rowing boats help hand-eye coordination, and build that ALL IMPORTANT upper body strength. Rowwwwww! Horses teach Bugs about the beauty of animals, the value of care, the skill of balance and bring a huge amount of JOY! Use your muscles, use your navigation skills, get going!!! Build that Bug’s strength and coordination whilst still having the ultimate BLAST while going FAST! Weeeee! The wind in your hair, excitement GALORE! Hold on tight to the slide bar or you’ll drop to the floor! Fantastic fine motor, outdoor mastery for little learners who love a whole lotta FUN!!!! Go on an imagination journey! One step up and you’ll be ON! But when you’re 2,3 or even 4, that one step can mean A WHOLE LOT MORE! Will I make it? Just how far? Let your Bug be the problem-solving STAR! Pushing, pulling, tugging and PLAY! 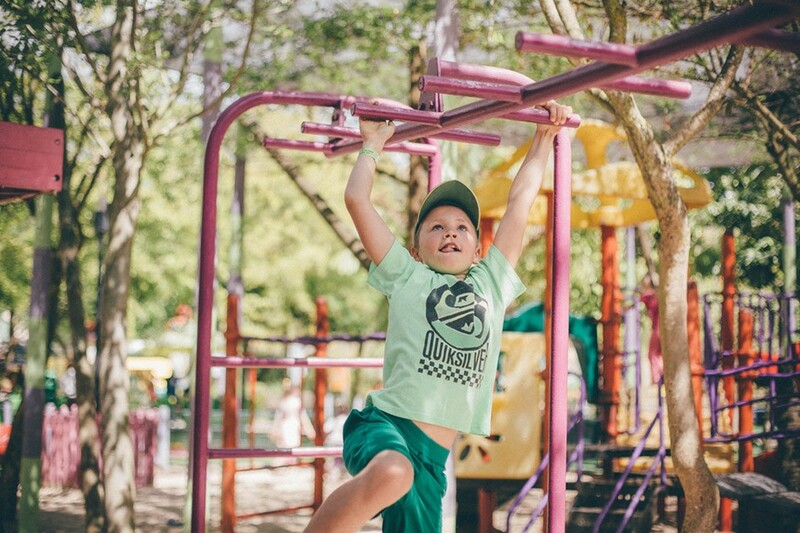 The jungle gym is an intuitive place for understanding weight, pressure, resistance and lifting ANY DAY! Up, up, and AWAY!